Each of these barcode readers are attached to a computer via a cable such as USB, RS-232 or keyboard wedge. The standard cable is 1.8 metres or 2.1 metres long depending on the model. Some have straight cables while others offer standard or extension coiled cables. 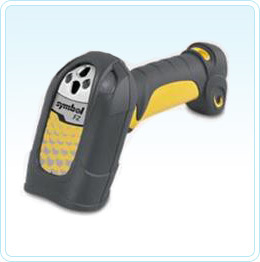 The Motorola LS2208 is the smallest, lightest and cheapest barcode scanner in the Motorola range. 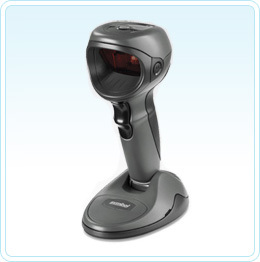 Ideal for retail environments this laser scanner offers aggressive barcode reading across a wide range of symbols. The kit comes with a hands free stand, 2.1 metre straight USB cable and a 5 year warranty. 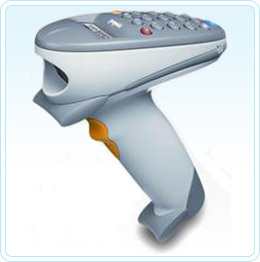 When you need a barcode reader that is more aggressive and offers raster scanning and 2D barcode reading the Motorola LS4208 suits a wide variety of environments from retail stores to light warehousing applications. A hands free Intellistand is available as an optional extra. 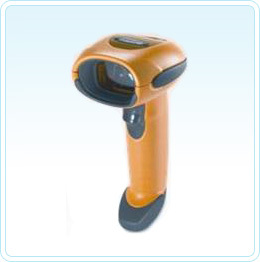 An industrial class barcode scanner that offers raster scanning in an IP53 sealing which means it can be wiped down and sanitized for clean manufacturing environments. With a 2 metre drop to concrete specification it is an ideal choice for more rugged applications. 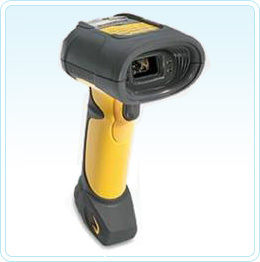 Ideal for all 1D scanning requirements in harsh environments. The rear head of the Motorola LS3408 has an in-built metal attachment that allows you to attach a retractable pulley clip assembly for applications where you need to scan but do not want to put the scanner down. The Motorola LS3408-ER is an 'Extended Range' laser scanner offering the user the ability to read a large barcode symbol from 13.7 metres away (45 feet). A rugged scanner with an IP65 rating and 2 metre drop of concrete specification. Ideal for warehouse use and mounting to a forklift mobile computer. 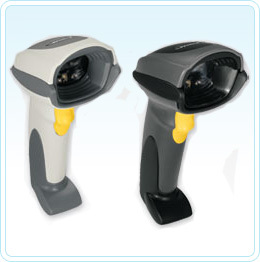 An industrial barcode scanner that offers digital imaging and can read 2D barcodes from any orientation. 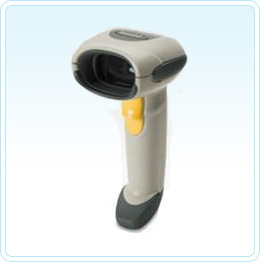 The Motorola DS6708 is a 2D barcode reader offering digital image scanning. 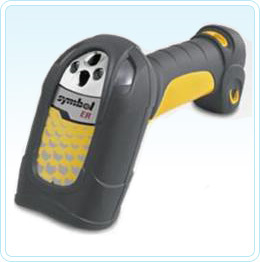 Ideal for retail environments this scanner can read any 1D barcode without having to line up the symbol when compared to the LS2208 or LS4208 readers. The latest and most advanced hands free desktop scanner from Motorola the DS9808 allows you to pick up the scanner quickly and easily when required to scan bulky items that won't fit on the sales counter. 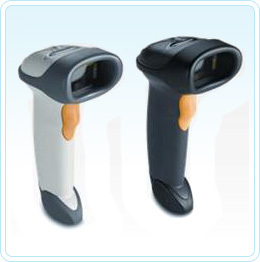 The DS9808 is a very aggressive barcode reader and staff need little training to use it effectively. 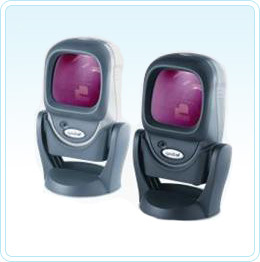 The LS9208 is a hands free desktop scanner but can be used as a hand held scanner if you pick it up out of the base. Being omni-directional it makes light work of many barcodes without the need to line them up. Ideal for all retail point of sale applications. The Motorola P460 and P360 scanners are technically memory scanners but when you leave a cable connected to them they can be used as a point of sale scanner all day long. With the 2 line LCD display and 17 key keypad you can also enter data (usually numbers) from the P360/460 straight into MYOB, RetailManager or any other point of sale application.